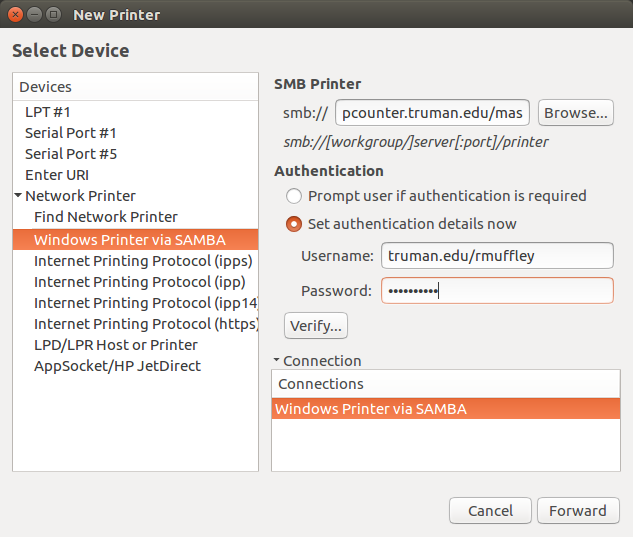 You can connect to Truman network printers from a non-Truman owned computer, like a student personal computer system on campus, or you can also connect from an off-campus computer system. 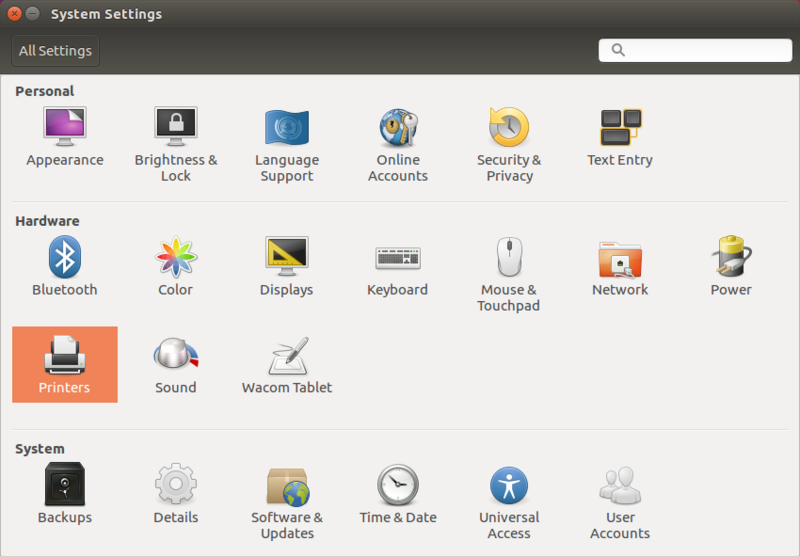 Here are the instructions for Ubuntu operating systems. If you have a Linux system unlike Ubuntu, this should hopefully give you the right idea. 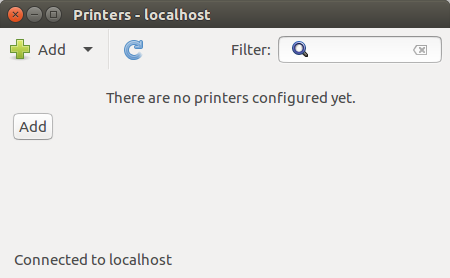 First, open “System Settings”, and then “Printers”. 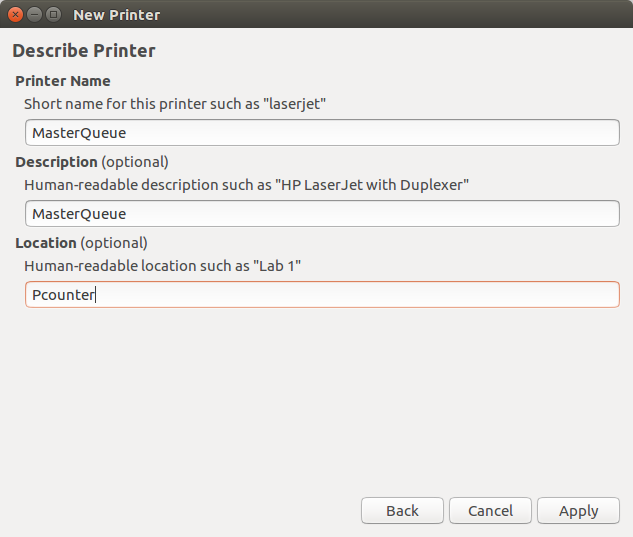 Next, expand “Network Printer”, and then select “Windows Printer via Samba”. 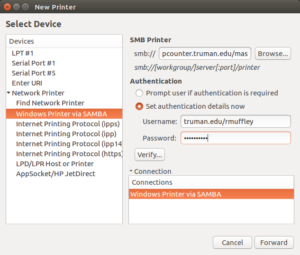 Once selected, type “pcounter.truman.edu/masterqueue” in the “smb://” field. Next, select “Set authentication details now”, and enter “TRUMAN/username” in the “Username:” field, and your Truman network password in the “Password:” field. Once done, click “Forward”. 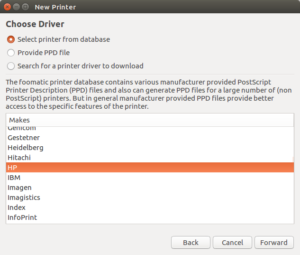 Next, scroll down and choose “HP” from the list. Click “Forward”. 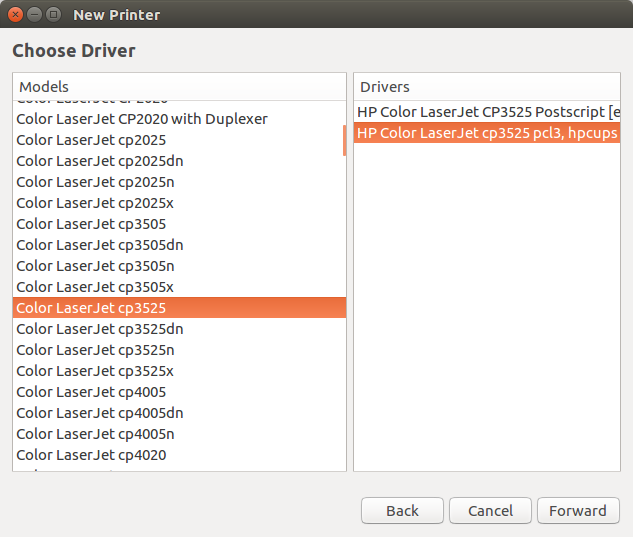 Next, scroll down and select “Color LaserJet cp3525”. 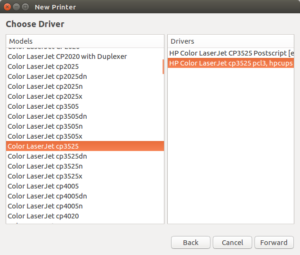 When selected, also select “HP Color LaserJet cp3525 pcl3, hpcups” on the left screen and click “Forward”. Be sure to select “Duplexer Installed” and click “Forward”. 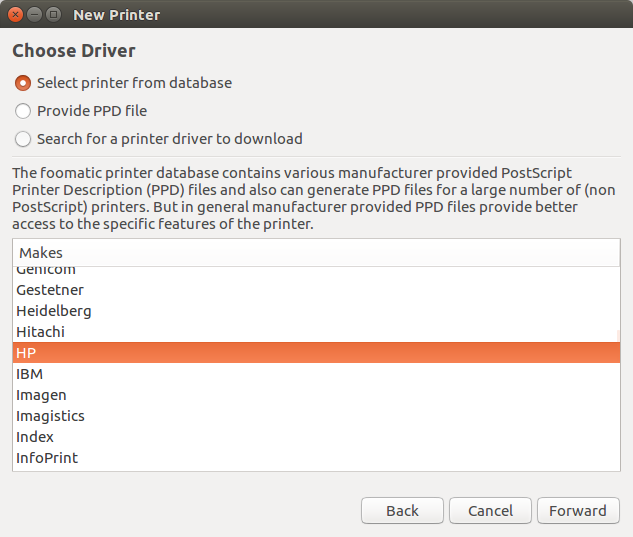 You can now name you printer as you wish. Some suggestions are shown below. Click “Apply” when ready. 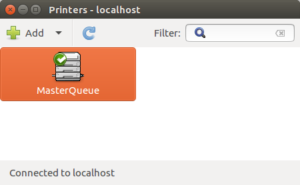 Click “Cancel” at the next screen, shown below. 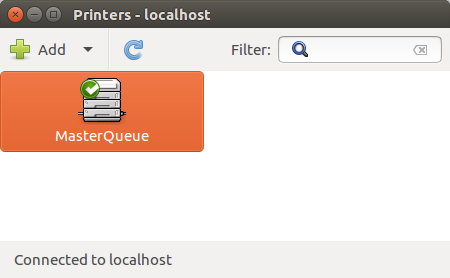 You are now ready to print to the Pcounter MasterQueue.